Finding it difficult to fall asleep and stay asleep? You are not alone. Like you, an estimated 10% to 20% of the general population experience insomnia. Research shows that twice as many females complain of insomnia compared to males. The elderly are also more prone to insomnia than the young, and introverts more so than extroverts. Insomnia can result from many psychological, medical and lifestyle factors. You need to first understand what could be causing your sleep difficulties. Painful ailments, such as tumours and arthritis, can cause sleep to be disturbed. Persons with cardiac or lung conditions may also wake up breathless many times a night. Smokers are frequently awakened by coughing, as are their sleeping partners. Those who abuse alcohol or drugs also experience insomnia. Despite their sedative effect, these substances increase wakefulness while decreasing the quality of sleep. 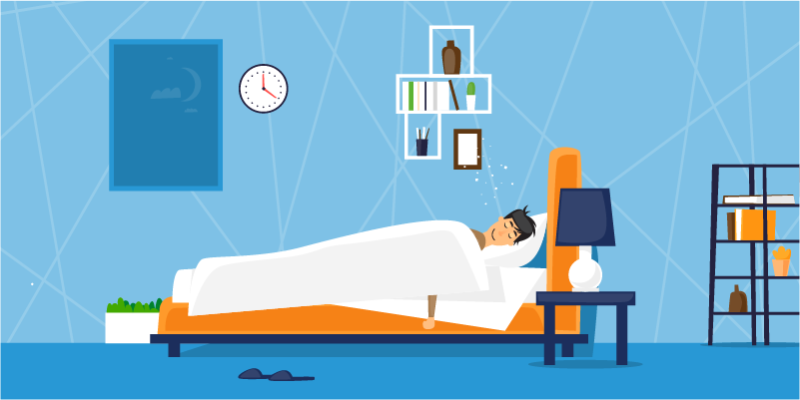 Shift workers, as well as those who travel across time zones, are also prone to insomnia. This is due to a disruption of the body’s sleep and wake cycle. It is common knowledge that that excitement, fear, worry, tension or anger can rob us of a good night’s rest. Persons with certain mood and anxiety disorders may also struggle with insomnia. In about 15% of cases examined, no cause for insomnia could be found. Try to go to bed at the same time and wake up at the same time every day. Sometimes, you may still experience insomnia despite practising good sleeping habits. Your doctor may be able to help by identifying and treating the underlying causes, especially if they are physical or medical in nature. Many medications can disrupt normal sleep patterns. Check with your doctor on alternative medication or the possibility of a lower dose. The prolonged use of sleeping tablets is discouraged. While it can induce sleep, its regular use will lead to a problem of dependence. An abrupt stop of sleeping tablets may cause a recurrence of insomnia, as well as nightmares. Hence, it would be best to taper the dosage gradually under medical supervision. Certain anti-depressants have sedative properties. They may be useful if the insomnia is related to a depressive condition. Psychological approaches generally work well for persons with insomnia. These include muscle relaxation exercises, breathing techniques and meditation. Learning how to cope with anxiety and tension during the day can help improve sleep at night. The more relaxed a person is, the easier it will be for him to fall asleep. If a traveller is to arrive at a destination at night, he should try to sleep after arriving. If he is to arrive during the day, he should try to remain awake and get some sun until nightfall. This will hasten the adjustment to the new time zone. Some travellers try to get as much sleep as possible on board the plane, claiming to feel more refreshed. Sometimes, a sleeping tablet is needed during or after the flight to induce sleep at the appropriate time. It is also important to avoid caffeinated drinks while on the plane.